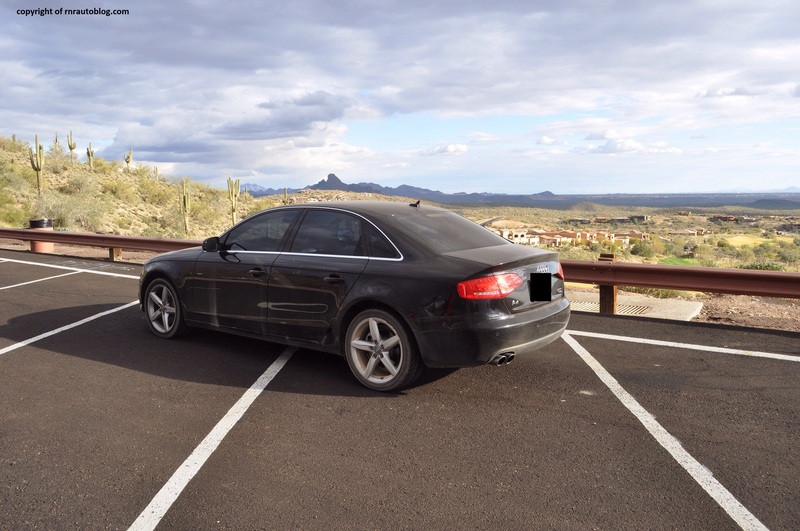 Determined to defeat the BMW 3 Series and the Mercedes C class as the king of compact luxury cars, the Audi A4 was redesigned in 2009. Understated styling and excellent quality is what separated the A4 from the aforementioned BMW and Mercedes. 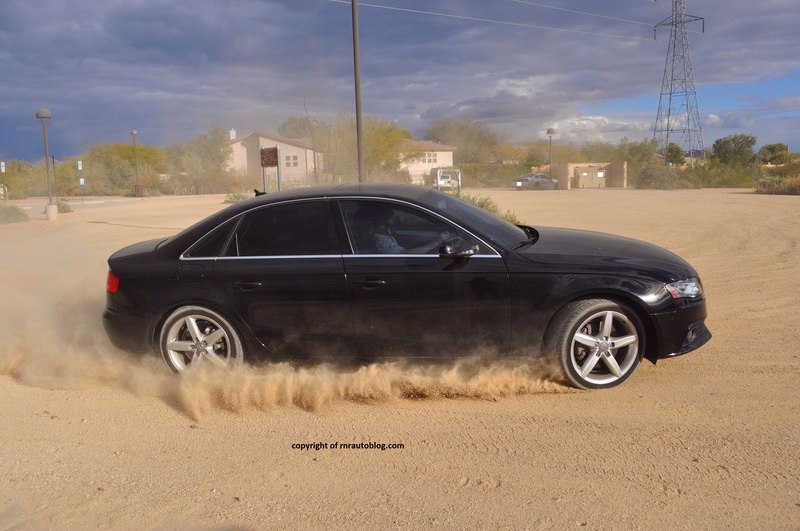 Whereas the BMW was sporty and the Mercedes luxurious, the A4 struggled to find a balance. Previous generations were too hard riding and noisy and not sporty enough which can be attributed to its front wheel drive (or front wheel drive based AWD) layout. In 2009, Audi was determined to take down its rivals. 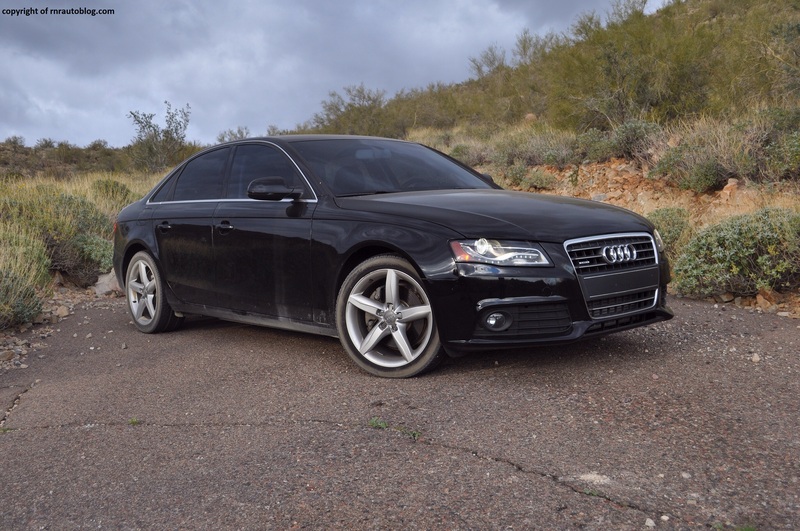 Flaunting modern styling and newly updated powertrains, the latest Audi A4 was Audi’s contender in the compact luxury foray. When it comes to styling, my preference is skewed towards clean and tidy designs. 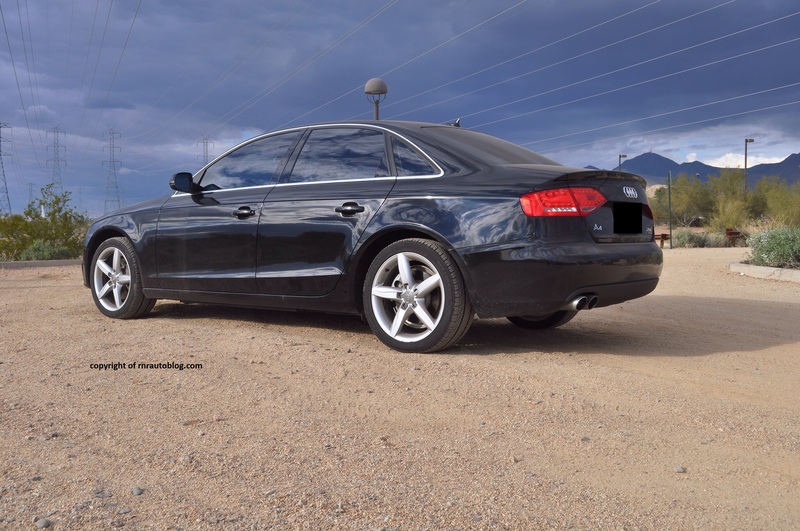 Case in point: this Audi A4. The front fascia features a single frame grille that fits nicely within the design, and it does not look overwrought. The LEDs encased in the headlamps are attractive, and they complement the headlamps. The side profile is conventional with subtle creases and an uniform roofline. I like how the trunklid tapers off, creating a sporty look to the rear. The rear is lacking in details compared to the front, but it is keeping in line with the clean design. The interior is appealing design wise. It is black, but contrasting colors help prevent the somber effect. Both the exterior and interior designs are attractive and upscale. When you drive this car, it is apparent that it has targeted the BMW 3 Series in terms of driving dynamics. It is agile and collected. 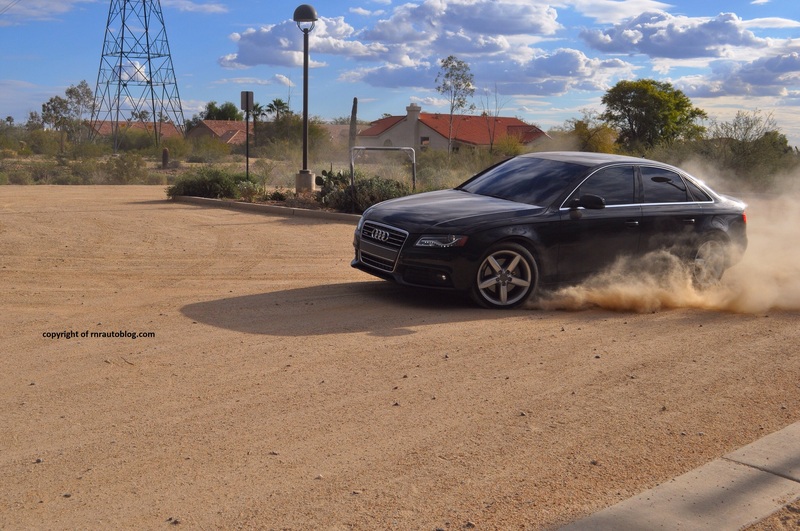 Run into road imperfections mid corner, and the Audi remains unfazed. 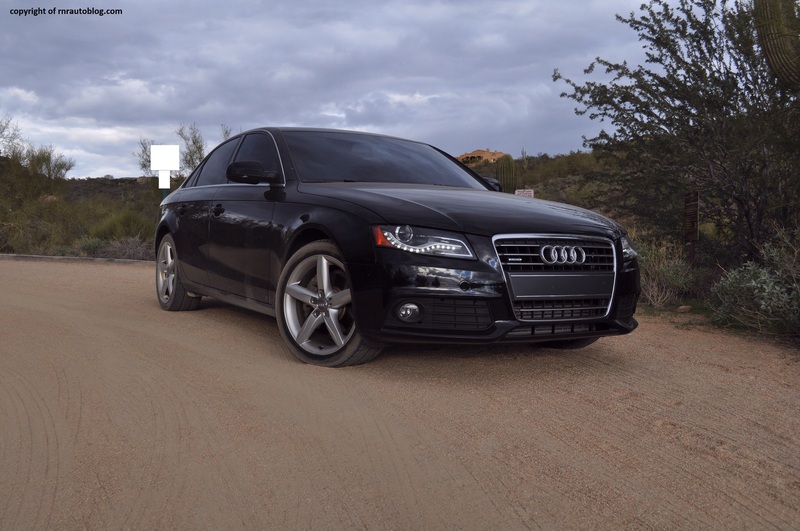 This version has the Quattro AWD system. 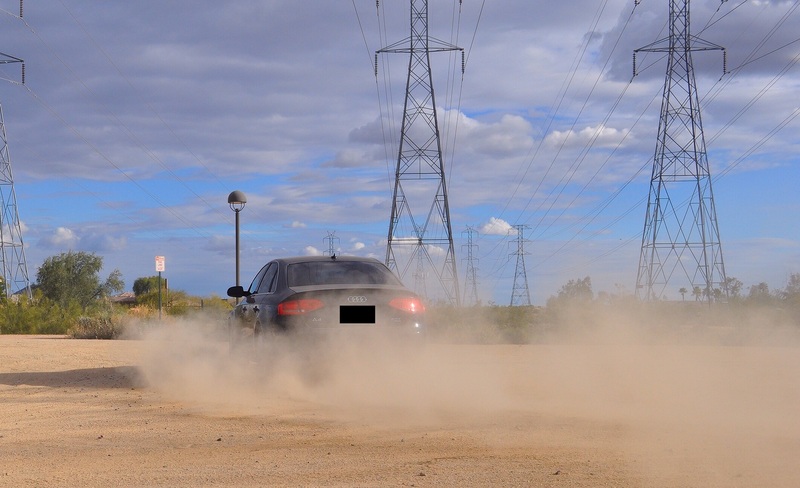 You can tell it is working to aid its handling as well as its traction as it is far more balanced than what you would expect of a front wheel drive biased AWD car. However, the steering is a demerit. It is too light, and there is no organic feel to it. It lacks real feedback as well. The suspension is best left in comfort mode as it is firm and well controlled. However, put it in any other mode, and it becomes stiff. 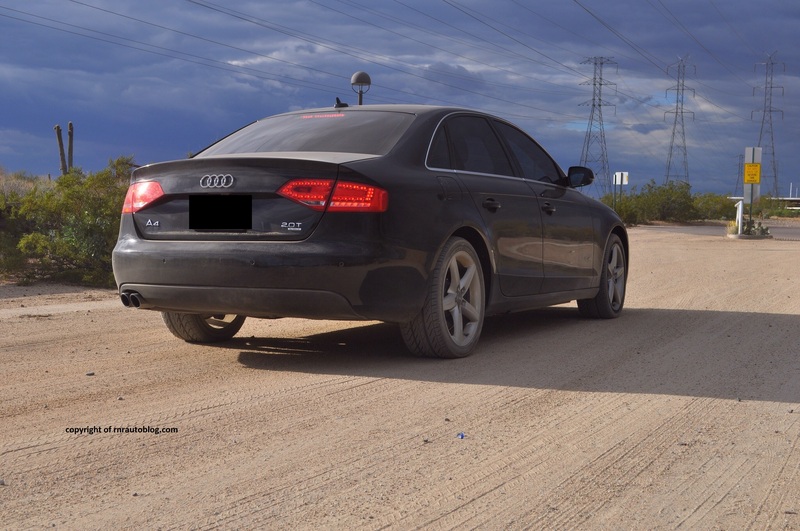 Powering the A4 is a 2.0 turbocharged four cylinder engine paired with an eight speed automatic transmission (Before 2011, A4s came with a six speed automatic transmission). 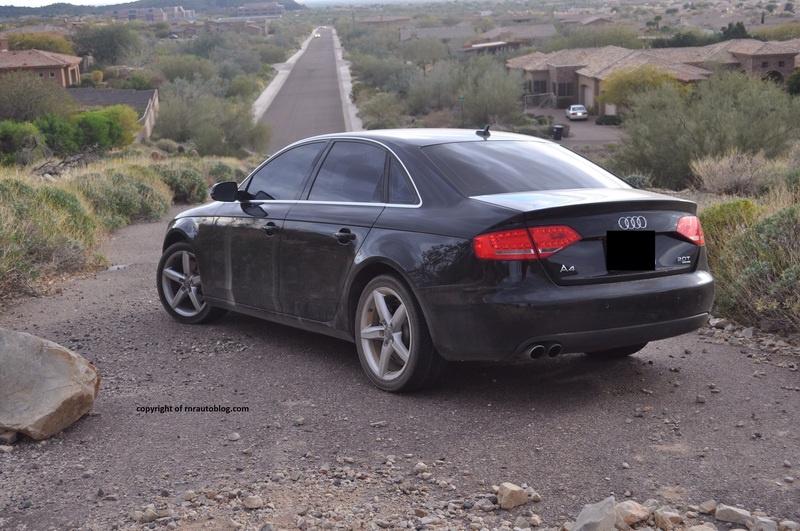 The turbocharged four cylinder is a delight and it feels much more polished than the turbocharged four cylinder engine in the previous Audi A4 that I reviewed. 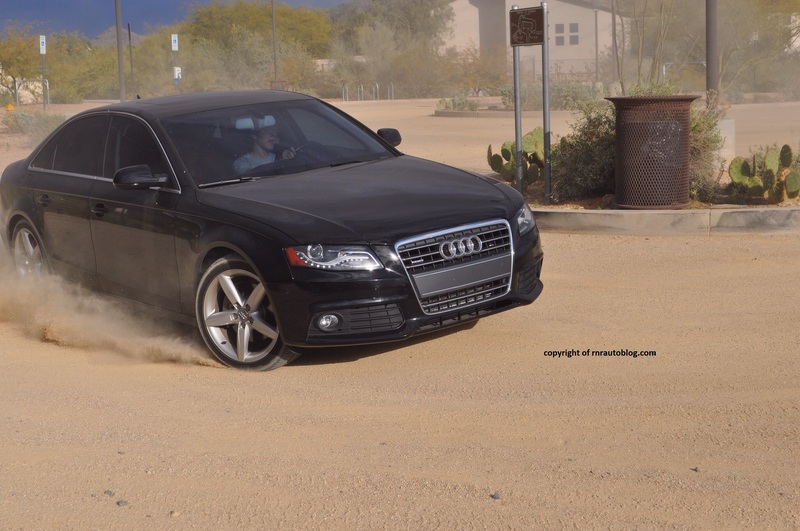 Acceleration is excellent, aided by the Quattro AWD system. It is very responsive, and there is virtually no turbo lag. The eight speed transmission is decisive and smooth in its shifts. A CVT replaces the eight speed transmission on front wheel drive versions. A six speed manual is available. Except for some turbo whine in normal driving, there is little to fault in terms of refinement and quietness. 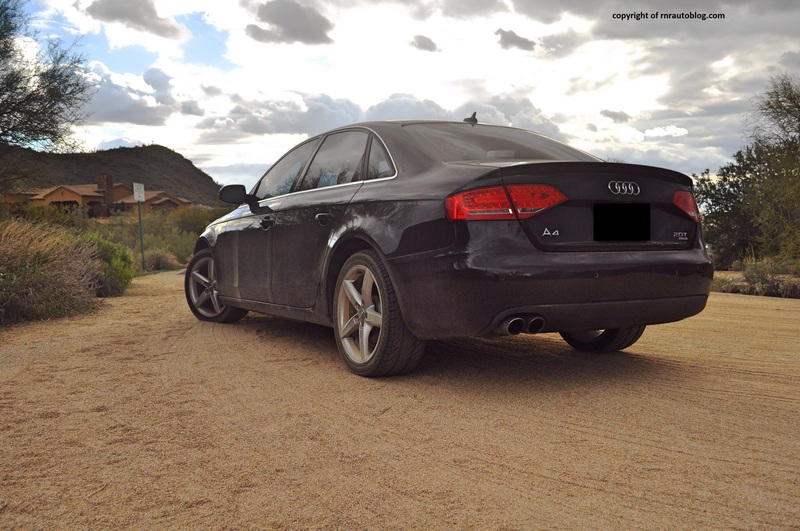 The engine feels much better executed and is devoid of any unwanted vibration compared to the previous Audi A4. In typical Audi fashion, the interior is beautifully finished. The ambiance is luxurious and opulent, and all of the controls display impeccable fit and finish. What I like about the interior quality is that Audi did not skimp on the quality despite the fact that this is the entry sedan. I have seen many luxury manufacturers skimp on quality in their lesser models. One thing I do not like about the interior is the gauges. They are nicely finished, but for some idiotic reason, the speedometer goes all the way to an unrealistic 180 mph. 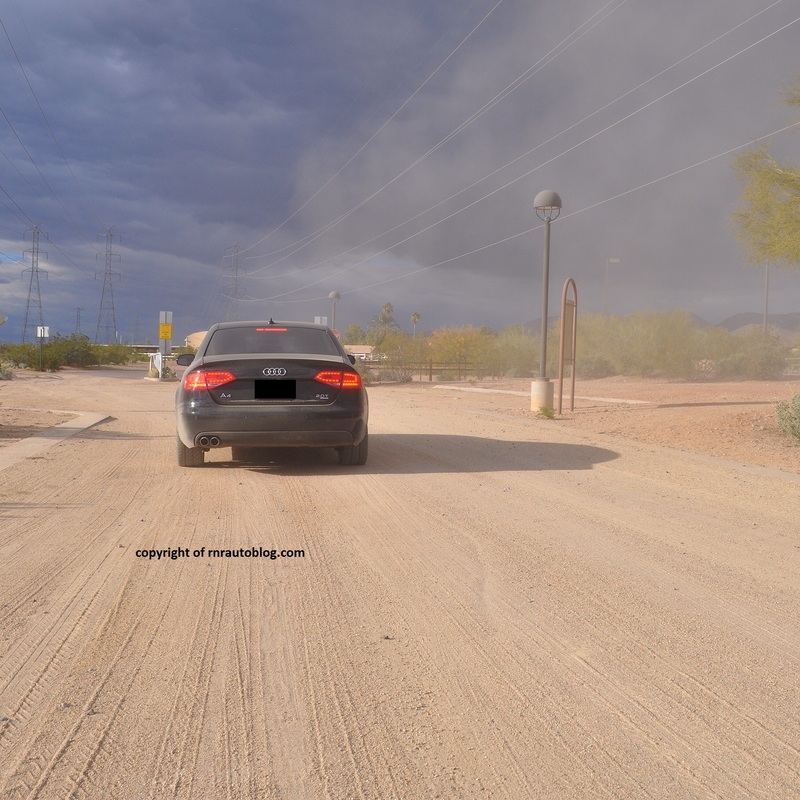 As a result, the speeds are condensed together, making it hard for you to determine your speed. The cabin is cramped and not roomy as it should be. The center console intrudes in the front space, and it can feel confining. The seats offer exemplary comfort, and they offer numerous settings for your comfort. The air conditioning controls are easy enough, but this comes with Audi’s MMI system (navigation system). The MMI system makes functions such as entering your destination a chore. You have to turn the controller just to select a letter which becomes tedious. The rear seats are cramped, and headroom and legroom are lacking. Cabin storage is just adequate as is cargo space. 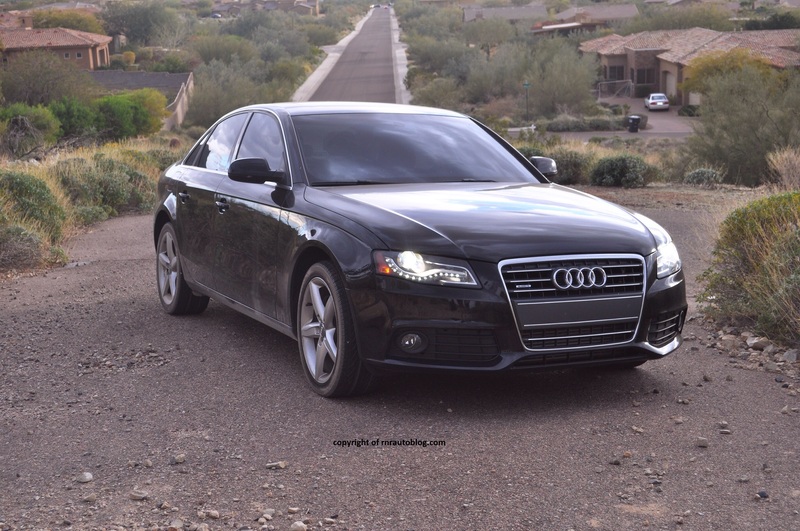 Out of the BMW 3 series, Mercedes Benz C Class, and Audi A4, I would go for the Audi A4. Sure, if my priority was driving enjoyment, the BMW would be the way to go (It has to be older than 2012 though), but for an all rounder, the Audi is the one for me. I do not usually like luxury and fancy cars as much as the typical car fanatic does because I loathe the feeling you get in these cars. The BMW and the Mercedes Benz are too flashy, and you spend more time focusing on the attention these cars attract, and the “cool” factor that they bring rather than focusing on the car itself. 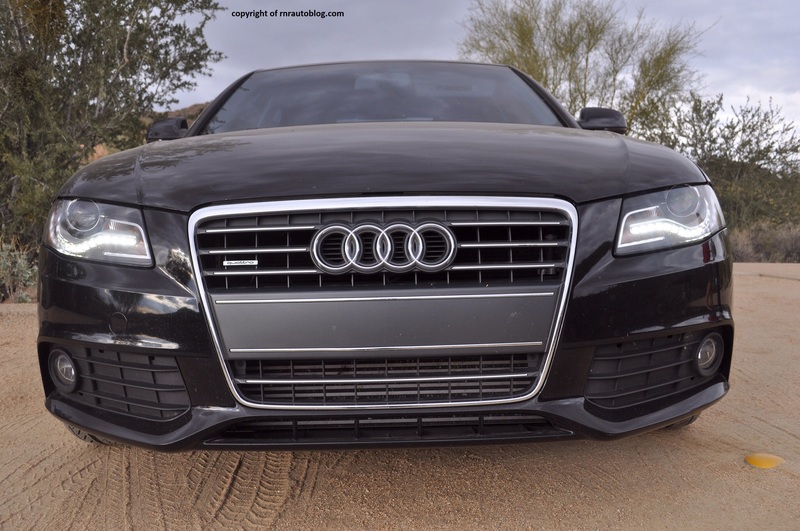 The Audi is less flashy, and it is more understated. It may not handle well as a BMW 3 Series, or ride as well as a Mercedes Benz C Class, but it more than makes up for it with its all around competence. It has attractive styling, somewhat engaging handling, decent fuel economy, relative affordability, and it has the option of a manual which most compact luxury sedans don’t even offer anymore. 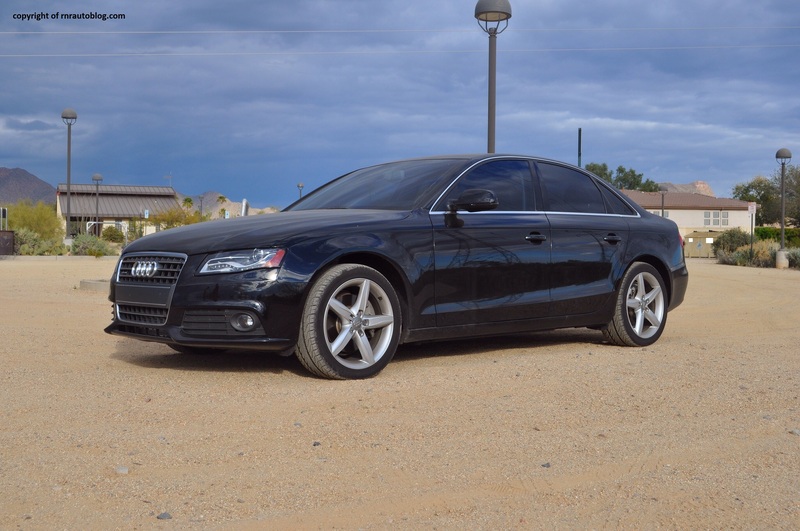 If it were my money, I would get the most basic Audi A4 with no options and of course, a manual transmission. 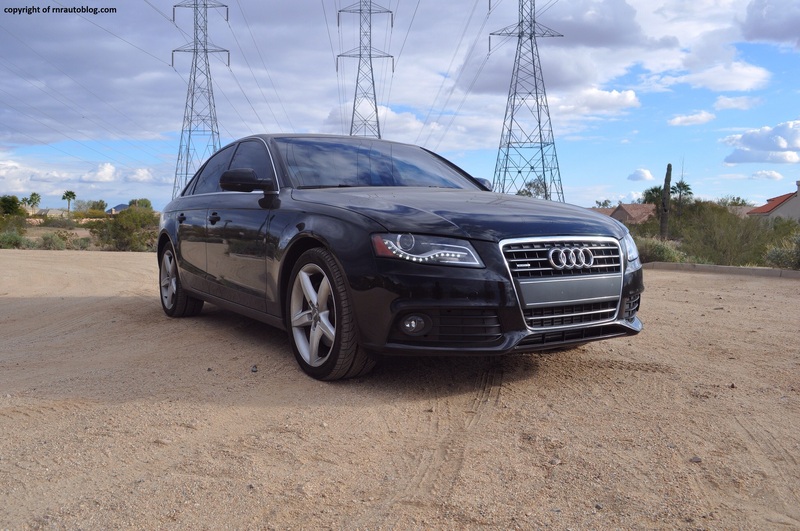 The Audi A4 is what some people might consider best of both worlds. do you care if I retweet this?